Downtown Grayling will be all aglow and filled with the holiday spirit when The Christmas Walk welcomes the Holiday Season on Saturday, November 22. To kick off the start of the festivities, Santa will be arriving in town during the World’s Shortest Parade. Santa will be available after the parade to chat with the children and hear their fondest wishes. Businesses host entertainment, offer refreshments or set up special Christmas displays and in-store specials for your enjoyment. 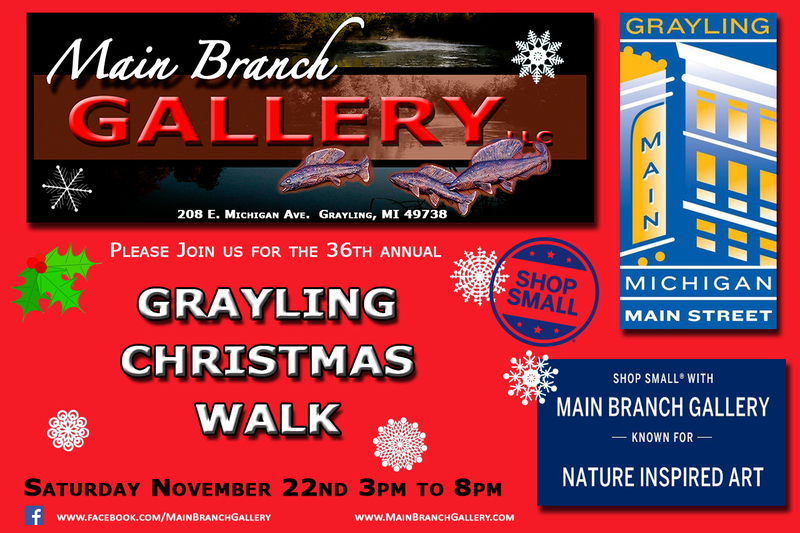 For further information contact any of the downtown Grayling stores or the Grayling Visitors Bureau at 800-937-8837..